Selling a car at auction can be an exhilarating experience. You get to see your car take center stage, listen to the auctioneer talk it up, then watch as bidders drive the price up, up, and hopefully up some more! There’s a few things to keep in mind when taking your first car to auction though. What Type of Cars do they Sell? After you’ve attended a few auctions you’ll probably notice that some cater to certain types of vehicles, or even certain classes of cars. Spend some time looking over prior auction results on the auction’s website and get a feel for what kinds of cars they offer most, and what prices they get for them. Most larger auctions will maintain a good mix of cars, but No. 3 and lower condition class cars may be overlooked in their advertising and promotions. (Click here to view definitions of Condition Classes.) They may also give lower Condition Class vehicles less time on stage. You want your vehicle to be the kind of car the bidders are there to see. So be honest with yourself about where your car is likely to be the most at home. Variously, auctions will cater to either high-dollar collector cars, medium range collector cars, daily drivers, or everything else. If you’re expecting millions of dollars for your car, then any auction house will want to talk to you. But the best track record for high dollar Ferraris, Jaguars and rare European sports cars would be auction houses like RM-Sotheby’s, Goodings & Company or Bonhams. This past weekend, Auctions America did very well with a collection of Porsches. 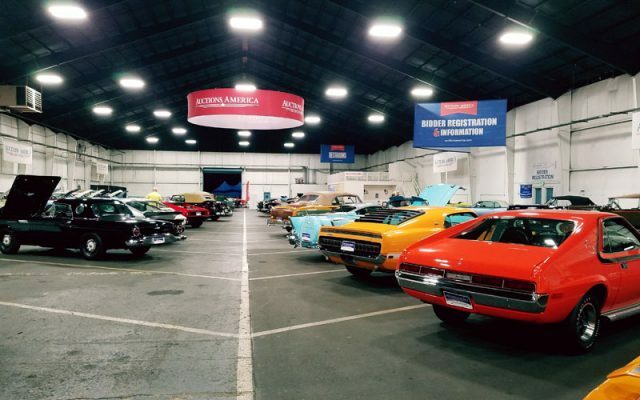 (Click here to view results from the Auctions America Ft Lauderdale sale.) That is one of their strong points. The famous Barrett-Jackson Auction does a pretty good job of selling high dollar muscle cars and resto mod street machines. 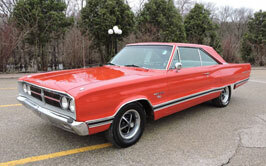 The Mecum Auctions are a premier venue for American muscle cars. Most of the high end auctions have their results posted online so that you can see which ones have been successful with your type of car. If you have something you found behind your father’s garage, then a local parts auction might be better suited to find competitive bidding. What Will They Charge You? Once you know which auction you think will be a fit for your car, contact them and get the details. Auctions will all have their own rules and procedures, and will run things a little differently from one another. Make sure you understand their rules, and most certainly their fees. Auctions sometimes charge a listing fee. They always charge a closing commission, a percentage of the final sale price. Make sure you don’t get blindsided by these fees, and understand the minimum price your car will need to sell for if you want it to be worth your time. Consider other costs like transportation of your vehicle, hotel stay while you’re at the auction, and day to day expenditures while you’re there. If you love the auction environment and plan to do some bidding yourself, these costs are probably inconsequential. If you’re only going to sell your car, then you may want to factor them into what amount you’ll walk away with after the sale. You don’t want to be surprised when your end profit is vastly lower than expected. Track your expenses and projected fees so that you have a realistic idea of what you’ll be walking away with. There’s two ways of consigning your vehicle to an auction house. RESERVE or NO RESERVE. Setting a reserve price ensures that you are under no obligation to sell the car if bidding does not reach a minimum price, or Reserve. Auction houses do not like Reserves and may try to talk you out of setting a Reserve price. Many believe setting a Reserve price deters bidders from getting into the bid rotation. As an owner, you want as many people as possible to be bidding on your car, which drives up the price. Bidders know the winning bid gets the car on a No Reserve sale. However they will usually stay in the bid only as long as the price is in a bargain range. 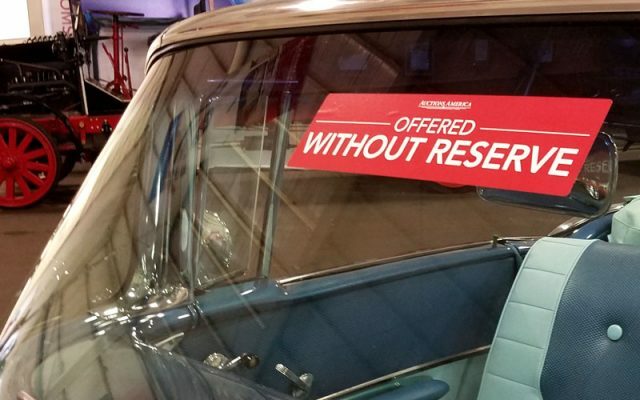 Without a reserve, there’s no way to know what your car will sell for. And as all auction houses will tell you, all winning bids are final. So what can you do to ensure your car sells for the highest possible price? That is the subject of our final article in this series. Be sure to read next week’s issue of the Cars On Line newsletter for our tips on how to maximize your auction sale results. CLICK HERE to see more “How To” content from Cars On Line!